Join Skipper L.B. 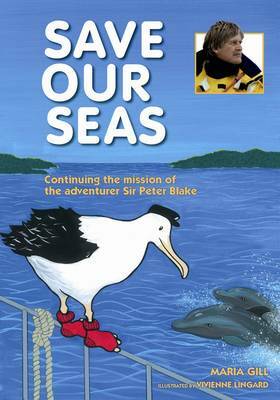 Tross on a seafaring adventure around the coast of New Zealand, where you will learn heaps about our sealife and what threatens it. Inspired by the environmental work achieved by the late great Sir Peter Blake, the Skipper does his best to pass on the legacy - and educate young people about the importance of protecting our oceanic species from human-generated threats to their livelihood. Along the way, you will encounter various species of dolphin, turtle, whale, crustacean and much, much more. You will learn about food chains, bottom-trawling, pollutants and what you can do to make a difference. Illustrated throughout with true-to-life drawings of sea creatures and plants, there are also fun puzzles, games and exercises on every page to put your newfound knowledge into action!